STUFF CHRISTIAN CULTURE LIKES: #219 The word "hubby"
"Hubby" isn’t often said by neurosurgeons, rocket scientists or most self-respecting intellectuals, but within Christian culture you hear it all the time. It runs rampant in Young Marrieds ministries, amongst pastors' wives, and on stay-at-home-mom blogs which feature lots of Bible verses and recipes. "Hubby" is rarely spoken in seriousness by anyone outside of Christian culture. Most people outside Christian culture have only heard it in the context of Ben & Jerry's or from British tabloids, and in extreme cases, from an older, socially-challenged female relative. 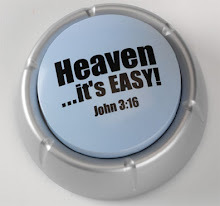 But in the Christian culture vortex you are subjected to this word and all its incarnations ("hubs," "hubby hubs," "hubski") and qualifications (most often "hunky," "hot" and "godly") early on and very often. The one hard and fast rule concerning "hubby" is that it is never uttered by a man. Christian culture does have its pride, however ambiguous. No joke! "Hubby" and "the hubs" are the worst! Agreed. However for me, "Wifey" is worse by far... it sounds like a hold-over from the pilgrim days. I have been working week-days in LA (lower Alabama) and have heard this term used to beyond reason. I will take take "Hubby" any day (and I have been called much worse) over the "W" word. I absolutely do say "hubs". But in my defense, the vast majority of my online friends and "friends" do NOT know my husband's name, and he refuses to let me call him Pookie in public (I do it anyway, though). Plus, as a highly private individual, he doesn't like his name broadcast to people he doesn't know. 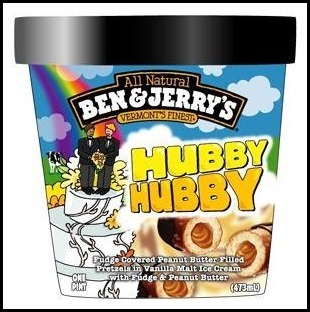 And, holy crap does that ice cream flavor sound good! My effing married friends, who are clearly far superior to my single-assed self, say this all the time. It almost always makes me, very obviously, cringe. I think they may wonder if I have turrets. And the good lawd knows they don't know it's from such endearing terms. Gee, I had no idea! You just never know where you pick up these things. I called my husband "hubbo" on FB the other day. Am I hopeless? I was going to say that I didn't think that was a CC thing since everyone I know says it. Then I remembered that I live in the South. Goddamnit. My wife calls me a hobo sometimes. Does that count? I've noticed 'hubster' a bit recently. Admittedly only from one person - a definite Christian Culture Facebook PDAer - but one is enough. I've taken to referring to myself as my wife's hubtard in response. Funny, the first time I ever saw the word "hubby" was on the cover of a Weekly World News tabloid and I couldn't figure out what it meant or why a person would want to murder one with a toothbrush (I was 5). Just to put the other side my wife and I were standing in Gatwick Airport waiting for my son and daughter-in-law to return from their honeymoon when my wife got a text from my son that read something like "Can you get a hot chocolate from Costa in a few minutes as the wife needs one." They had been married 12 days and she had become "the wife"
I've just discovered this blog and it is already far and away in my top 3. Well done! Hilarious post as always, but this isn't purely a Christian culture phrase. I've seen it in lots of mainstream publications like Yahoo News. Correct. Beyond Christians (who probably use it more) this word has made a revolting resurgence among 20- and 30-somethings who have somehow begun to channel Erma Bombeck. "Carrie...tells a friend to leave her hubbie." Is Time-Warner Cable an outpost of CC? This is so funny! Great post! I think a post on the "2-word story" marketing campaign is needed. DAMN YOU, STEPHY! Now I must run to the convenience store and buy ice cream. Well, as a godless Buddhist Jewish Pagan Agnostic Queer, I've never, ever called my partner my "hubby". It's always been "husband". Something must be wrong with me because I use the term "hubby" to refer to my husband ALL THE TIME. Never thought of myself as part of the "Christian culture" -- whatever that is. The world hubby seems to be used most prevalently in the cuckolding community. Search any cuckolding forum on the internet and the husband who's wife is being sexed by other men is constantly referred to as "hubby". I don't think I've actually heard the word "hubby" uttered by Christians, so I associate it with cuckolding. Also big in the military spouse community. Usual when talking about husbands, not to them.